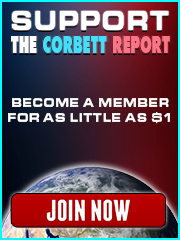 Meet The SDR: The Global Reserve Currency? This Interview 1427 – Financial Survival in the Demographic Crunch is a 5 STAR interview! Coincidently, prior to watching this interview, I viewed Mike Maloney’s 3/21 video Basel III & Gold: The Big Picture. Around the halfway point, Mike discusses how currency changed following World War 1. I have watching gold and silver prices for months now, especially some of the silver stocks. It is interesting to watch how the U.S. dollar fluctuates in price, as a currency next to other currencies, and then often see the correlations in gold prices. Regarding the first part of the discussion on big data manipulating society like a puppet master, I do believe there is hope for a free-thinking and unplugged humanity. It’s not fait accompli. Think about what we were all like when we were born. Pure and untainted human beings. Untouched by technology. Ready to interact with the natural world. I believe the humanity that is inside us all will recalibrate itself and people will find that life is more enjoyable simply living and thinking independently. I don’t believe that technology can strip away the humanity we possess. I don’t believe that technology can strip away the humanity we possess. “Give me control of a nation’s money and I care not who makes its laws.” likely stated by French banker Nathan Rothschild. I assume that tech-companies, press and governments are slaves of the above. 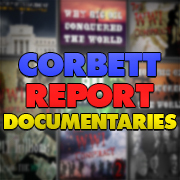 I been having problems with the Corbett Report since the Australian dictatorship banned bitchute to censor the recent false flag event in New Zealand. Another point about Japan not often mentioned in the foreign media is that in areas like the one in which I live and work, there is a pretty steady flow of young individuals and families, all seeking to escape the craziness of high-pressure work in the big cities. They don’t all stay, and they certainly aren’t all able to make a living (again, most of them have been trained to carry out one single task, and are unequipped for the kind of jack-of-all-trades skills that are required for a life in the country, but the tide is turning and the landscape is changing: ten years from now the countryside will no longer be populated by 80 and 90 year old retired farmers, it may very well be populated by young, forward thinking entrepreneurs. My point, I think, is this: Japan is not so much suffering from a demographic crunch as from the effects of 50 years of unrealistic and irresponsible socialist-style state-coddling. If the country can learn to work smarter, not just harder, then there should be no problem. The only thing getting in the way is quite literally socialism and its effects on the economy: for one, how to pay back the billions poured into state-supported social programs, for another how to keep people dependent on the state and unwilling to seek out independence and self-autonomy? !